In diesem Beitrag gehe ich mal einen etwas anderen Weg. Statt detailliert auf den Film an sich einzugehen, verweise ich heute einmal auf den Beitrag meines Kollegen Sebastian auf „odd & excluded„. Nur so viel: Der Film ist ein wilder Trip aus Liebe, Verlust, Wut und Gewalt. Wer Nicholas Cage nur ausrasten sehen will, der ist mit Mandy eher schlecht beraten, auch wenn Cage hier genug Grund zum Ausrasten hat und das auch tut. Da gibt es sicherlich leichter verdauliche Filme mit Cage, in denen die Fans auf ihre Kosten kommen. 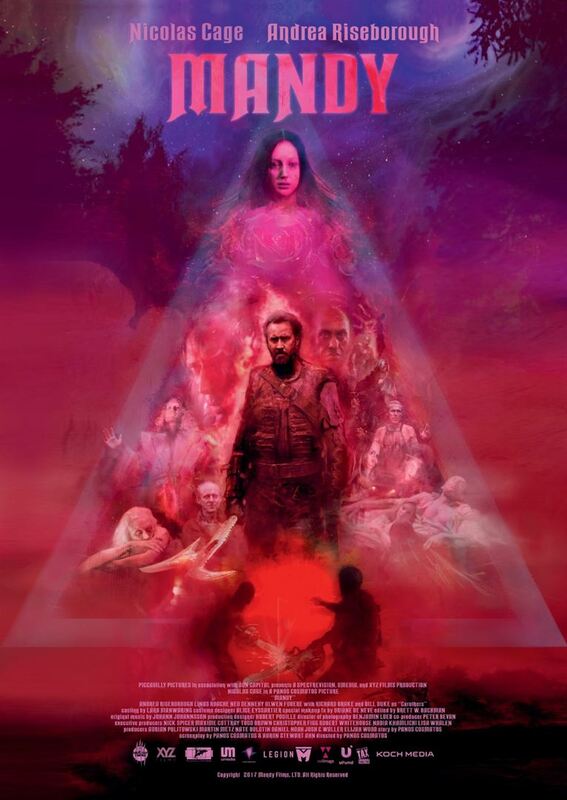 Und es wird Mandy auch nicht gerecht, den Film nur auf „Cage rastet aus“ zu reduzieren. Cage geht hier buchstäblich durch die Hölle. 2CD set, released by La-La Land Records. It sort of came out of nowhere. After The X-Files ended in 2002, the show seemed to have run its course. Declining viewer ratings and a somewhat meddled story arc were the results. The actors were fed up with their roles. The second theatrical adventure of Mulder and Scully, The X-Files: I Want To Believe, failed at the box office in 2008. The show was kind of dead and buried. Because of that it was an even bigger surprise, that the network Fox announced new episodes in 2014. The X-Files Volume Three, released by La-La Land Records. Who would have thought after The X-Files ended in 2002, that we would get 12 CDs of music from the show ten years later? And it’s not even the end of that. Due to the huge demand on the first two sets and a very well reception of the third one, the producers at La-La Land Records may be opting for another four CD set with Volume four. Initially volume four was just a 2CD set, that would combine some leftovers from episodes, that were already covered on the other sets. And as I write this, La-La Land Records releases a 2CD set with Mark Snow’s music from the tenth season of The X-Files, that aired in 2016. Ich war untreu. Ich bin fremdgegangen. Ich habe tatsächlich einen Artikel geschrieben und er war NICHT für Klangbilder! Für die neue Ausgabe der „Cinema Musica“ durfte ich einen Text beitragen. 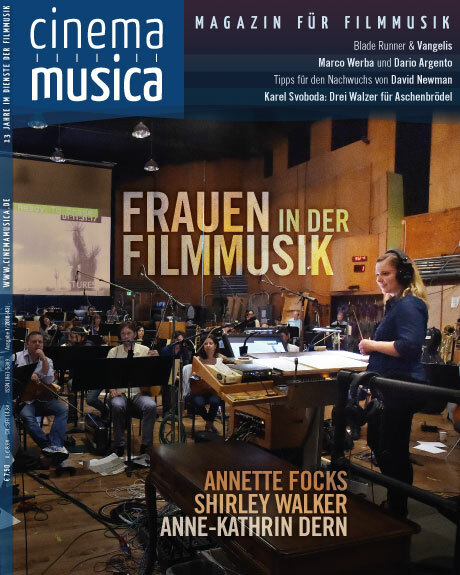 Der Themenschwerpunkt der Ausgabe ist „Frauen in der Filmmusik“ und da darf Shirley Walker natürlich nicht fehlen. Wer das Ergebnis bestaunen möchte, dem sei die neue „Cinema Musica“ ans Herz gelegt. Vielen Dank an die Redaktion, besonders Anne und Oliver fürs Fragen. With the increasing popularity of The X-Files as a tv-show, more merchandising products became available. So it was only a matter of time, until finally a CD with the score by Mark Snow would be released. In March 1996, The X-Files theme was released as an EP and became a huge success in Europe, even reaching Number 1 in the French single charts. In September of that same year, the album X-Files: The Truth and the Light followed. The Truth is out there!